Who are The Dunbar Academy Top Dogs? 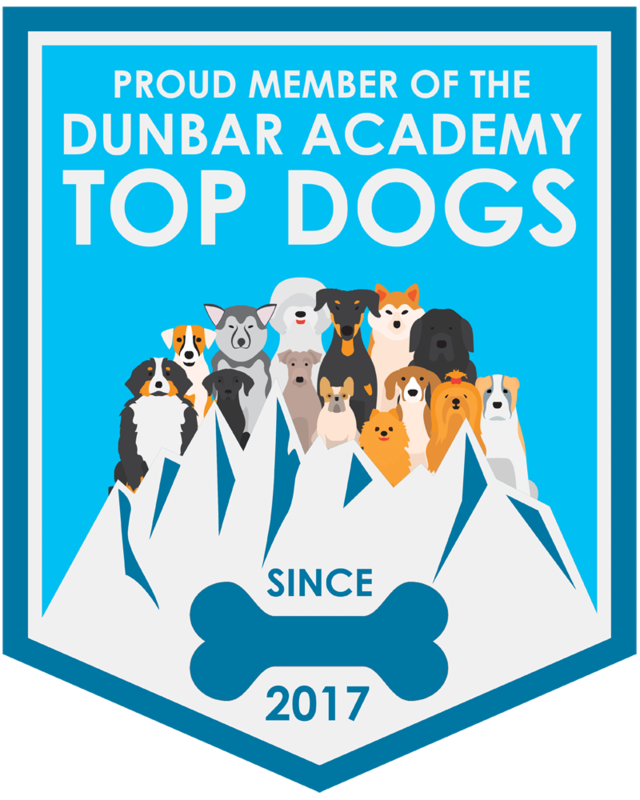 The Dunbar Academy Top Dogs are all members of the Top Dog Academy. They understand the importance of positive puppyhood training, responsible puppy breeding, and they embrace science-based, fun and games, dog-friendly training methods that are easy, effective and enjoyable. Top Dogs believe in an approach to dog training that is primarily positive. We understand that the best way to modify behavior is to show our dogs how we want them to behave, and then reward them for acting the right way. We believe that undesirable behavior needs to be redirected, but that corrections need not be unpleasant. Instead, corrections for misbehavior can, and should be, instructive, so our dogs can quickly learn what we want them to do, so we can all get back to having fun together. Top Dogs also understand the importance of treating the people of the world just as well as we treat the dogs of the world. We understand that the positive and friendly approach we take to dog training is just as effective, and important, when we are trying to train people. Not everyone approaches dog training the way that we do, but the best way to change their mind isn't to shame them or ostracize them or verbally abuse them. The best way to change minds is to lead by example and show them a better way. Share what we know and show how effective it is. After all, we train the way we do not only because it's fun, but because it works! If someone posts this badge it should indicate that you are dealing with someone who shares these beliefs. That said, we have a limited ability to monitor the use of this badge. Ultimately, it's usage is dependent on the honor system. If you believe someone is using this badge inappropriately, please contact us at info@dogstardaily.com.